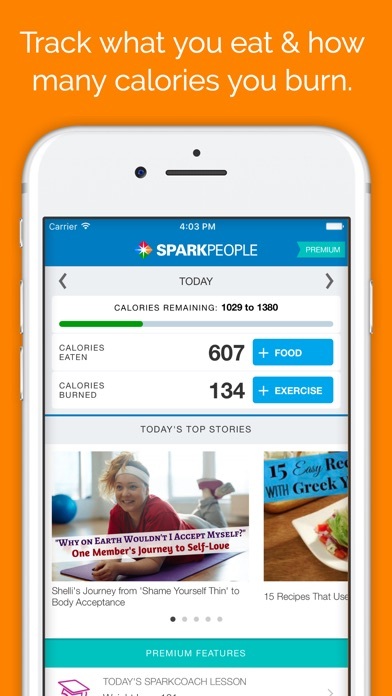 Count Calories, lose weight, and track fitness with SparkPeople. 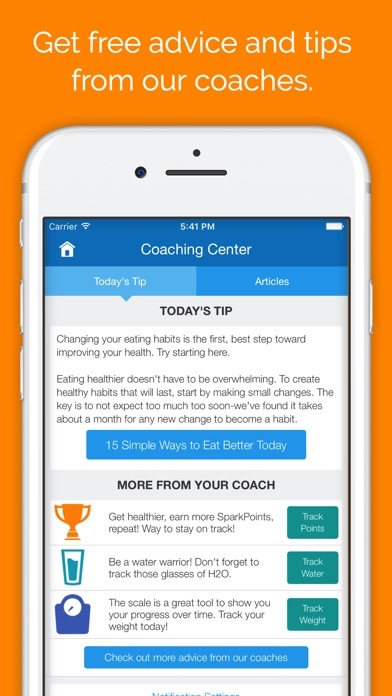 SparkPeople is your personal diet and lifestyle coach. Get customized workout & meal plans & get healthy. Rated 5 stars by thousands of users, SparkPeople helps millions of people reach their goals; you can be next. 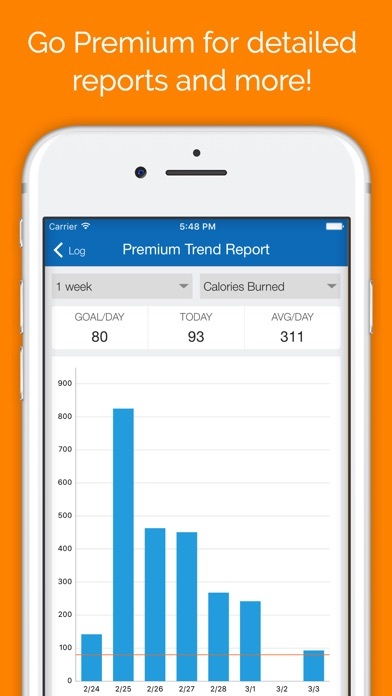 Our fitness tracking & calorie counting app collects the exercise demos, reporting & food database that our members use to live healthier & better lives. What Sets Our App Apart? + Huge nutrition lists and calorie database: With new foods tracked every day, it’s easy to count calories, carbs and nutrition. Check out our calorie lists for complete nutritional info for common foods. Start your own calorie-tracking program with our food tracker! + Fitness Tracking: Track strength and cardio, including sets, reps and weight/rep. We make activity tracking easy. + Healthy Meal Planner: Not just a weight-loss app, we can help you make healthy food choices too. Diet planning is easy: Put in your food preferences and goals to get a custom meal plan. 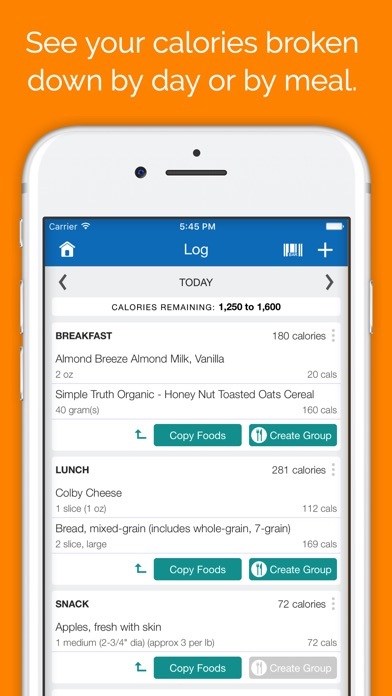 + Food Intake Tracking: Calculate calorie or carb makeup of any meal with our simple calorie calculator. Track what you eat, track fiber, track whatever is important to you. + Exercise Demos: Get fit and avoid common exercise injuries with short demos of cardio and strength exercises, performed by licensed trainers. Whether beginner stretching, tabata workouts or HIIT, we have the workout demo for you. + Barcode Scanner: Scan any food barcode to find its calorie and nutritional information in our food database. Track nutrients, calories, carbs, protein, fat, fiber, cholesterol and more. + Health & Fitness Articles: Read articles from SparkPeople’s dietitians, nutritionists and lifestyle coaches to learn how to be a healthier you. 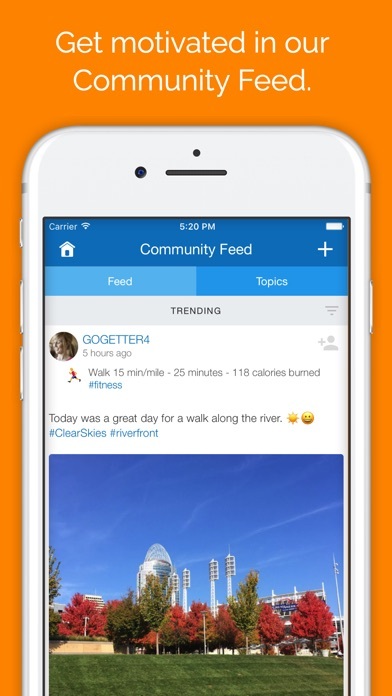 + Community Feed: Get motivation through our members. You may have found our app looking for a carb calculator or nutrition counter, but we’re more than that. Join our worldwide community of members who help one another reach their goals! + Diet Agnostic: Whether you’re following atkins, weight watchers, the DASH diet or something else, you can still use our app. Connect the apps or devices you use to your SparkPeople account! We integrate with FitBit, MapMyFitness, Misfit, Runkeeper, Garmin, HealthKit and more!. SparkPeople Premium: Try our ad-free experience. Get advanced calorie charts, email our coaches to get a live response and so much more! + A vast library of healthy-living articles, fitness videos and exercise planning tools. + Over 600,000 nutritious and easy recipes that help you reach your nutrition goals while still eating well. + The most supportive healthy lifestyle community. Get support from other members like you, and reach your weight loss and fitness goals while having fun.